A quick view of the most influential metrics in Carmel Valley. Carmel Valley is a planned community located in north-western corner of both the city and county of San Diego, California. Carmel Valley rests on the east side of 1-5 and the community of Del Mar . It is bordered to the south by the beautiful Los PeÃ±asquitos Canyon Preserve. Carmel Valley has a beautiful community park with sports facilities, ball fields, a swimming pool and gym. With the combined space of park and reserve lands residents have plenty of outdoor space for all kinds of activities like walking, jogging, biking and skating. The neighborhood is home to commercial offices, residential areas, hotels, retail businesses, eateries and more. 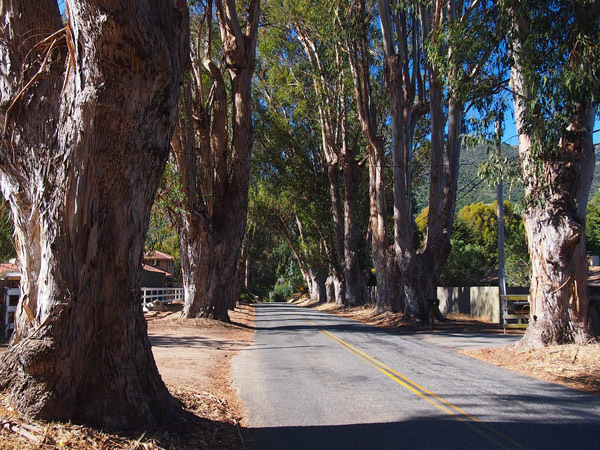 This community is often confused with similarly named Carmel Valley Village located in the northern part of the state. The earliest inhabitants in the area were native tribes living along Carmel Creek. Lands in the area belonged to the Spanish, then Mexico and finally the U.S. But, the history of the community is quite recent. The name Carmel Valley was derived from the Carmelite Sisters of Mercy who had a dairy farm and monastery in the area in the early 1900s. The community was formed in February of 1975, by the city of San Diego, with the name of North City West. Construction began in 1983 and the name Carmel Valley was readopted and made official in the early 1990s. Today it is a thriving community with everything a resident can need right there in the community. The beautiful community of Carmel Valley tries to offer not just housing, but homes in every sense of the word. According to 2006 estimates from the San Diego County Assessor's Office, Carmel Valley was home to 42,047 residents. The community is an affluent one with a median household income of $120,886. Many residents work outside the community in the Greater San Diego area. But the community also has a diverse economic base of its own with the several different companies having offices in the neighborhood including, but not limited to US Bank, Scripps Health, Pillsbury, The Allen Group, ICW Group Insurance Companies and Neurocrine Biosciences. Public education for students in Carmel Valley is overseen by three school districts, Solana Beach School District, Del Mar Union School District and San Dieguito Union High School District. The beautiful community of Carmel Valley tries to offer not just housing, but homes in every sense of the word. The neighborhoods welcome new residents with quiet streets, open green spaces and elegant housing. Opportunities for healthy outdoor activities surround you with concerts in the park and nearby beaches and golf courses. Housing in the community consists of luxury homes, condominiums and upscale apartments. Local real estate agents are best equipped to help you find the perfect home for you and yours in stunning Carmel Valley. View our selection of available properties in the Carmel Valley area. Check out the latest demographic information available for Carmel Valley. Learn more about schools near Carmel Valley complete with ratings and contact information. Browse through the top rated businesses in the most popular categories Carmel Valley has to offer.